Electronic newsletters, or e-newsletters, are wildly popular for good reason. Because no printing, mailing service or postage costs are involved, electronic newsletters can be published for a fraction of the cost of traditional printed newsletters. And because electronic newsletters can be instantly delivered to readers throughout the world at the click of a button and require no printing or mailing time, these online publications are ideal for sending out breaking news and communicating timely information to readers. Electronic newsletters can be produced in several formats, with the most popular being PDF newsletters, website/HTML newsletters and email newsletters. With all the various formats available for these online newsletters and different delivery options, how do you know which type is best for your company to publish? CompanyNewsletters.com can help. We’ve created all of these formats of electronic newsletters for companies throughout the United States. Below is a brief guide as to what type of electronic newsletter is likely best for you, along with the strengths and weaknesses of each format. You want to distribute both a printed and electronic version of your company newsletter. Whether you want to print it on your office printer or have it commercially printed, a PDF newsletter prints out better than any other format of electronic newsletter. You think a good portion of your readers will want to print your newsletter and/or read it offline. You want a more elaborate design than an email or website/HTML newsletter will allow. There are fewer design limitations with this electronic format than any other. You want to have the option to distribute your newsletter either by email or by posting it on your website or intranet site for others to download. You want an easy, quick way to post your electronic newsletter on your website. Most websites and intranet sites allow you to easily post PDF files for others to download and view. It’s easy to archive back issues of your online newsletter on your website or intranet site. This makes a great resource for your readers who may want to look up older articles. PDF files are larger than any other type of electronic newsletter file. Thus, they may take a longer time to download and view if you have a larger publication with lots of graphics or if any of your readers have a slower Internet connection. Also, when sending these files as email attachments, some readers may not be able to receive them. That’s because e-mail providers often limit the size of attachments that their customers can receive. However, these limitations can usually be overcome. For instance, CompanyNewsletters.com typically optimizes PDF files for its clients so they are as small as possible, without sacrificing the resolution or print quality. Also, instead of sending PDF newsletters to readers as an email attachment, CompanyNewsletters.com recommends posting the PDF newsletter on a website or intranet site and then emailing a link to the publication to readers, so they can simply click on it and download the newsletter outside of email. A PDF file isn’t quite as easy to navigate or view on screen as, for instance, a website/HTML newsletter. PDF files usually require readers to zoom in and out and scroll more than a website/HTML and email newsletters. This is an example of the cover page of a website/HTML newsletter, which is made to go on the client’s website. It can also be used as a hybrid e-newsletter in which the cover page is emailed out to readers and when they click on a link, they are taken to the website version of the electronic newsletter. A website/HTML newsletter is usually made up of a series of web pages, coded in HTML, and the publication is hosted on a website (either on the Internet or an intranet/employee portal). Readers must go to a website and read the newsletter on their Internet browser, much like when readers go to a major newspaper’s website and read its articles online. See a website newsletter example that CompanyNewsletters.com regularly publishes for the Hong Kong government. You think virtually all readers will read the e-newsletter onscreen. It’s easier to navigate on screen than other types of e-newsletters. You want to beef up your company’s website with a lot of interesting, relevant content, and as a result, attract more readers (and potential customers) to your website. For customer newsletters, be sure to have your website newsletter listed and indexed on Internet search engines like Google. Then when someone, like a prospective customer, searches the Internet for a term that is mentioned in your newsletter articles, the search engine can refer people to your site. It’s easy to archive back issues of your online newsletter on your website. This makes a great resource for your readers who may want to look up older articles. Readers must have Internet access and be online to view a website/HTML newsletter. 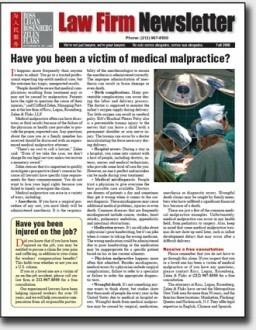 This type of online newsletter doesn’t look as good when printed and read from a hard copy as it does on screen. Compared to an e-mail newsletter, a Web newsletter is not as convenient because readers must go to an Internet site to view it rather than have it delivered to them. However, at CompanyNewsletters.com, we can create what we call a hybrid electronic newsletter, which is both a website and an email newsletter. See hybrid e-newsletter below for more information. Although an HTML newsletter should work on most websites, it may not work on all types of websites. Also, to get an HTML newsletter set up on a client’s website, we usually need assistance from the client’s IT people to place the HTML files on the website. However, this usually takes less than 10 minutes of their time for each issue. Of course, this type of e-newsletter is sent as an email and is viewed in the reader’s email program, such as Outlook, Thunderbird, etc. You have a very brief newsletter. Because email programs such as Outlook and Gmail aren’t as sophisticated at displaying complex pages or designs as browsers or PDF apps, there are more design limitations with an email newsletter compared to other formats. Different email programs will display the same email in different ways. This makes it more difficult to design and layout a newsletter that looks consistent in Gmail, Outlook, Thunderbird, etc. For instance, a newsletter may have more spacing between the articles when viewed in Gmail compared to Outlook. Or a headline may appear on one line in Thunderbird, but two lines when viewed in Outlook. Unlike a website/html or PDF newsletter, all articles in an email newsletter must be put on the same page, which can get unwieldy if you have a lot of content. That means a newsletter with a large number of articles or many photos must be viewed and printed as one super-long page. Doesn’t look as good when printed and read from a hard copy as it does on screen. A hybrid electronic newsletter is made up of both a website/HTML newsletter and an email newsletter. CompanyNewsletters.com specializes in this format. First we create a website newsletter to be placed on the client’s Internet or intranet site. 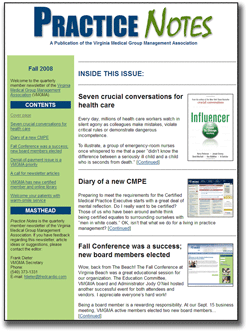 Then we take the cover page of that newsletter, with descriptions of and links to all the articles, and create an email out of it. We then email just that cover page to readers, and then when readers click on an article link in the email, they are taken to the website version of the newsletter, where they continue reading through the newsletter. Read more about hybrid e-newsletters and how they are better than just an email newsletter. 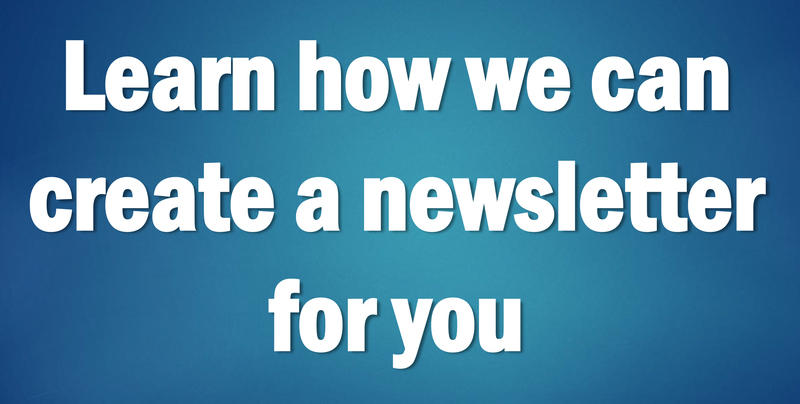 You want the benefits of both a website newsletter and an email newsletter. The majority of your audience will read the newsletter onscreen. Although the website newsletter portion of a hybrid newsletter should work on most websites, it may not work on all types of websites. Also, to get an HTML newsletter set up on a client’s website, we usually need assistance from the company’s IT people to place the HTML files on the website. However, this usually takes less than 10 minutes of their time for each issue. Which format of electronic newsletter should you choose? Here’s what we usually recommend to clients who hire CompanyNewsletters.com to create an e-newsletter for them: If you plan to print out a good portion of your newsletters or if you think some of your target audience will read your newsletter offline, a PDF newsletter is the way to go. If most of your audience will read the electronic newsletter onscreen while online or if you want to boost traffic to your website, then a hybrid e-newsletter would be a good match for you. However, if your company’s website cannot host the newsletter’s HTML files (the majority of websites can), then a PDF newsletter is the way to go because virtually all websites can host PDF files. At CompanyNewsletters.com a PDF newsletter is by far our most popular type of electronic newsletter with clients, followed by a hybrid newsletter.